Commissioned by the University of Omaha Faculty & Staff Committee, for presentation to Dr. Milo Bail, retiring President of the University. Described in the Omaha World Herald, January 18, 1965. Donated to Joslyn in May, 1984. Currently on display in the Nebraska Governor’s Mansion. 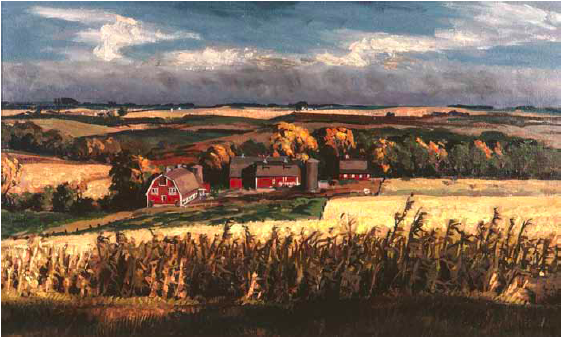 Herbert Davis farm, west of Omaha.